Writing a piece devoted to women and strength training has been on my to-do list for quite some time. As my readers know, I highly encourage all women to incorporate some form of strength training within a consistent and intelligently planned exercise routine. Unfortunately, largely due to mass media marketing, a staggering number of misconceptions are continuously recycled throughout the general public in regard to strength training, reinforcing the idea that women shouldn’t do it. 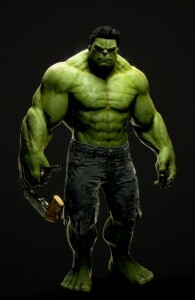 And you won’t like me when I’m angry…. I was recently sitting down to write an article covering several of the various misconceptions regarding women and strength training when I received a particularly inspiring client update. Roughly 8 weeks earlier I had begun working with Jane, an extraordinarily sweet college student and health enthusiast. Jane grew up in a health-conscious household and had been exercising consistently for a number of years. She was a former athlete, avid runner, and regularly practiced yoga. Additionally, Jane had experience tracking her daily caloric intake and thoroughly enjoyed learning how to eat, live, and train to achieve and maintain a healthier lifestyle. Unfortunately, in spite of her hard efforts, Jane wasn’t satisfied with her progress. Like many women, she had been following the guidelines of numerous health professionals encouraging women to increase cardio, eat more complex carbohydrates, and lift lighter weights for higher repetitions. After Jane contacted me and I had reviewed her diet and training regimen, it wasn’t difficult to see she was over-trained, undernourished, and simply misinformed. I explained to her that on my program she would strength train three times per week, place a large emphasis on protein, and significantly reduce her cardiovascular exercise. It went against all she knew and everything she had been told up until that point, but she didn’t let that hold her back. She was willing to give it a shot. Nevertheless, she took my word and began the program with a strong and open mind. She was ready for a change. Fast forward 8 weeks and Jane was a completely different person. She was stronger, happier, healthier, and had achieved her long-held goals. As you can see, her transformation was nothing short of spectacular. That’s odd. She doesn’t look big and bulky to me…. To give you a brief idea of what Jane did on a daily basis, I’ve briefly outlined her program below. Focus on full-body compound movements (i.e. Squat, Chest Press, Hyperextension). That’s it. Nothing special about it. While I would love to write about my stance/views on women & strength training, I’ve decided to put that on hold and save it for a separate piece. Instead, I am excited to share an article written by Jane, detailing her transition and experiences throughout my program. Among other topics, she discusses how she overcame many of the common myths associated with women, strength training, & nutrition. It’s chock-full of information and quite the inspirational story. Like most women, I firmly used to believe that cardio was the key to solving any and all of my weight problems. If it wasn’t “working,” I simply wasn’t doing enough. In the hopes of losing a few of those pesky pounds I had gained over the summer, my junior year began with a commitment to run/elliptical for a minimum of 45 minutes each day. In addition to the cardio, I would often attend a 90 minute hot-yoga class three times per week. After roughly 3 months of killing myself with cardio and ineffectively counting calories, I knew something had to change. I heard about Jordan’s services through a friend and, despite my reservations, decided to reach out to him. After several emails back and forth I realized the program would take me completely out of my comfort zone. First and foremost, Jordan’s program revolved around strength training. Again, like most women, I have always been extremely hesitant when it comes to training with weights. I didn’t want to get bulky nor did I want to lift (or attempt to lift) in front of a bunch of guys. And perhaps most importantly, I couldn’t imagine how lifting weights three times per week would help me accomplish what hours of cardio could not. When I first saw the unbelievably detailed program, it didn’t do much to ease my hesitations. However, after speaking with Jordan and investigating the undiscovered weight section at my gym, I began to view it as a challenge. The first week I took day by day. I went to the grocery store and bought every high-protein food I could find. I spent a few early mornings in the gym and quickly learned my way around the weight section while it was still empty. And finally, every night Jordan and I would discuss how I felt, what I didn’t understand, and he would take the time to answer each of my questions. After that first week I had established a very comfortable routine. The weight room became far less intimidating and I stopped caring if anyone thought I looked inexperienced. I could tell the new food choices were giving me a new found energy and I was already starting to see physical changes. Jordan’s eating guidelines became second nature and I was soon making all the right choices automatically. High protein foods were a staple! In all honesty, Jordan had me eating more protein than I ever thought possible! Calorie counting also became second nature and I learned how to “eyeball” roughly how many calories was in a meal without stressing over the food labels. After five weeks I went home for Christmas break and two people asked if I had lost weight. A few days later I went to Florida and for the first time in years I felt fully confident in a bathing suit. I no longer felt the unbelievable pressure to do crazy amounts of cardio every day and I could completely enjoy my vacation. After the entire 8 weeks I looked and felt better than I ever had before. I had not only lost those few pesky pounds from over the summer but I was finally toned – something I had been striving to be for years. One of the greatest lessons I learned form Jordan’s program is that strength training will not make women bulky. In fact, for me it did the opposite! My frame got smaller, I became stronger, and my muscles got significantly more defined. Similarly, I quickly realized that protein won’t make women bulky either. When I told my friends I was drinking protein shakes and eating about 150 grams of protein per day, they looked at me like I was crazy! Like most people, they thought protein only functioned to make people bigger. Now I know that protein has numerous benefits while dieting, for both men and women alike. Many women are under the impression that lifting is unattractive to men. In all honesty, I initially got a few funny looks from my male friends, but after I explained what I was doing they all thought it was great! Some even started talking about their own lifting experiences with me and now my gym partner is a guy. We even split protein supplements. I also think many women are intimidated by the idea of lifting, especially around men. I totally understand! There are many stereo-types attached to women who strength train, but I soon realized the most in shape women (the ones you see at the gym and wish you could be like) always lift weights. Actually, when I first started lifting I was very nervous to be lifting around a bunch of guys. But after a few weeks I accepted that I deserved to be in the weight room just as much as the guys did. I forced myself to go (even if it was packed), stuck to my routine, and it worked! I started looking forward to lifting and seeing how much weight I could increase from my previous session. I still get somewhat nervous while lifting around guys, but the feeling I get after successfully completing a set with a heavier weight is comparable to a runner’s high… it makes it all worth it. Overall, I think the biggest myth I had to overcome was the misconception that only cardio would help me lose weight. Just as the previous myths, I experienced the opposite. Gaining the knowledge to understand that I didn’t have to kill myself on the cardio machines everyday was freeing, to say the least. I could finally enjoy working out.